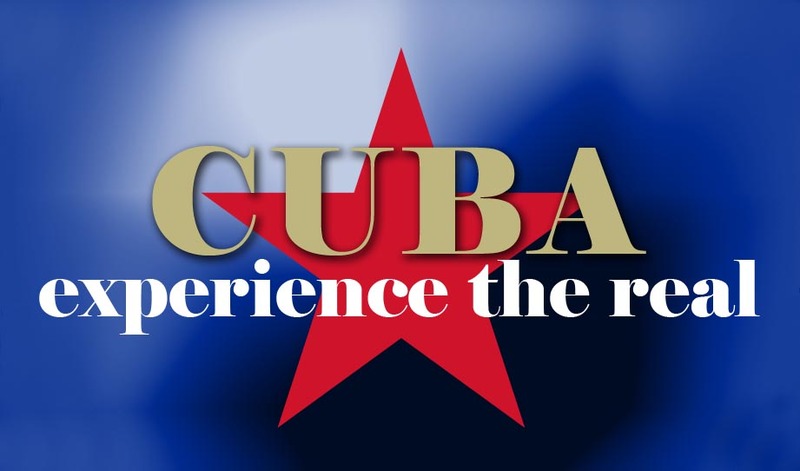 Cultural experiences in Cuba - Learn Spanish, Salsa & take part in Music, Art or Pottery workshops in Cuba with Experience The Real Cuba - it's the best way of getting to know Cuba! Beautiful Trinidad.... when I planned my trip to Cuba to learn Spanish, I knew I wanted to go horseback riding. At home I often don’t have as much time as I would like to, so every time I go on holidays I try to use the opportunity. I have been riding in Australia, New Zealand, Spain and Argentina. I think it´s a wonderful way to explore nature, spend some time outside and visit areas that you can’t often visit with a bus or a car. I did some research online and found some interesting looking websites but ultimately decided to just book something when I got to Trinidad. Therefore I just asked “my family“ if they knew someone they could recommend. Gustavo told me he knew a guy who is a trained Veterinarian; something that immediately appealed to me. I had the experience when travelling through Central and South America a few years ago that some people and companies that offer tours are not very well trained, often the horses looked pretty malnourished and had infected hooves. And the good treatment of animals is something that is very important to me. So a trained Vet as a guide is a definite plus. I ended up doing 4 tours with Maikel and his colleagues… I got the chance to meet some great people from different countries on the tours and experience the beautiful countryside in and around Trinidad that I would have missed out on otherwise. 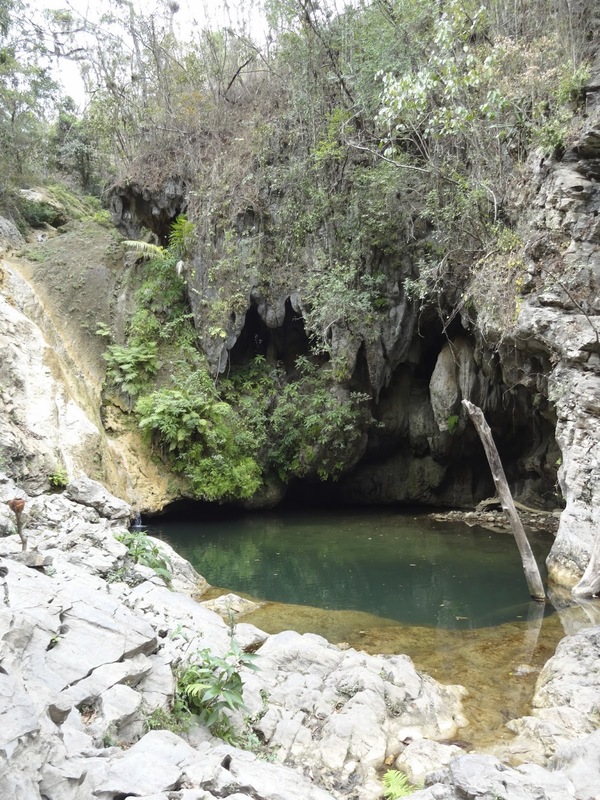 For example the “Valle de los Ingenios”, rivers and beaches and swimming in natural pools. The horses are well trained and quiet and seem to be used to tourists with different levels of experience. You can trot more slowly if you want to relax and take photos but for the more experienced it’s possible to gallop, too. The tours vary in length but there is always an opportunity for a lunch break. Usually in restaurants on "farms" where you just sit outside. I have eaten in 3 different places during the tours and they all had vegetarian dishes available, like salads, vegetable soups, pasta, eggs and rice. Maikel is able to speak English as well, because he spent a few months in Australia. It was easy to talk to him and tell him what I was interested in and plan different routes and tours. It was a wonderful experience and looking at the photos now makes me want to book my next trip! Being a vegetarian in Cuba isn’t easy. The first thing many families in Casas offer you is rice and beans, tostones or chicharitas which are nice but maybe you fancy a bit of variety while visiting Cuba. Rena - Have you received many vegetarians in your Casa in Trinidad? Misle - I can’t tell you how many vegetarians have come to my home but there have been quite a few, some vegetarians eat fish whilst others just eat vegetables, everyone is different. Rena - Do you like cooking vegetarian food? Misle - I enjoy cooking and I like inventing new dishes but cooking vegetarian food can be quite a challenge in Cuba. It is difficult finding ingredients and offering a varied menu, especially if I have Spanish students staying in my Casa for a few weeks. But I try my best to vary the menu as much as possible. Rena - What do you think of Vegetarian food in Cuba? Misle – I’m not a vegetarian and I have never been to a vegetarian restaurant so I can’t really say but I know many people have told me that they usually get rice and beans with salad for dinner at most Casa Particulares. I want to try and offer people something different so they can see that Cuba isn’t only about rice and beans. Rena - What is your inspiration? Misle - I want people to feel happy in my home and to enjoy the meals that I carefully prepare for them. Even though I have a vegetarian cookbook, I cannot find most of the herbs and spices in Cuba listed in the ingredients so I have to re-invent and experiment with what I can find here in Cuba. You can mostly find onions, peppers and tomatoes in Cuba but when vegetables like carrots or cabbages are available I try to make the most of them and use them in my dishes as much as possible. Rena - What are the most popular vegetarian dishes that you have made? Misle - I have made things like spaghetti with stir fried vegetables, arroz pilaf (pilaf rice) made with butter, onion, sometimes with peanuts, fresh oregano or basil leaves to add a little extra aroma, all depending on whether I can find them. I sometimes make something like fried dumplings with vegetables and a boiled egg or Tambor de Papa, a Cuban dish usually made with meat, but I make it with mash potato and vegetables, cream of pumpkin or cream of potato soup. I have also made my own version of an enchilada, inspired by you when you brought me a bag of flour tortillas from Costa Rica once. I can’t find tortilla’s in Cuba so I make my own version, I fill them with cooked vegetables, I roll them and sprinkle cheese and a tomato sauce on top. I know it was a favourite of one of our students, she was studying Spanish in Trinidad and she stayed with us a couple of weeks and she said she liked it very much. Rena - Do you think people are happy with your food? Misle - I think they are generally happy with my food, they always give me compliments, at least I hope they like my food. Rena - Is there any ingredient you wish you could have but can’t get in Cuba? Misle – That’s a difficult question as we don’t get many foods in Cuba. We sometimes get aubergine (eggplant) in Cuba but not very often. I would like to cook with aubergine more. Or maybe vine leaves, I like it when you make me stuffed vine leaves with rice. When are you going to make it for me again? Rena –jijijijij....well first we need the vine leaves, but if we can’t get vine leaves, you know we can make stuffed tomatoes instead, it’s a good dish you can make for vegetarians too. Are there any vegetarian restaurants in Trinidad? Misle – Many new restaurants have opened in Trinidad, but there are no vegetarian restaurants in Trinidad. Rena – Maybe you should open a vegetarian restaurant in Trinidad? Misle – Maybe one day I will open a vegetarian restaurant in Trinidad, but for now I welcome anyone who is staying in Trinidad to my Casa and try out one of my vegetarian dishes....even if they are not staying in my casa. I would be happy to hear from any traveller craving something different. Want to share your amazing travel experiences with friends and fellow travelers more easily? Now you can! Come check out whereRyou.com today!